The name Fresh Handmade Sound Collective probably means nothing to you unless you’ve been to one of the Lush Cosmetic stores or Spas, but you should know the name of Simon Emmerson, a founding member of Afro Celt Sound System, still the defining exponents of 21st century world fusion. Recently, Emmerson connected with Lush to make Spa music that wasn’t spa music. Gathering a host of English, Indian, Irish and other musicians, including people in his Imagined Village project, he’s created a series of eclectic albums under the Fresh Handmade Sound moniker including the forthcoming A Hard Day’s Night Treatment, which takes Beatles songs from across their career and spins them into dreamy folk and global improvisations. We got a trio version of the collective in the Echoes living room with Simon Emmerson on guitar, sitarist Sheema Mukherjee and keyboardist Simon Richmond. They rework some Beatles tunes and play some original compositions live tonight on Echoes. So light some candles, lay down and drift off the the Fresh Handmade Sound Collective tonight on Echoes. 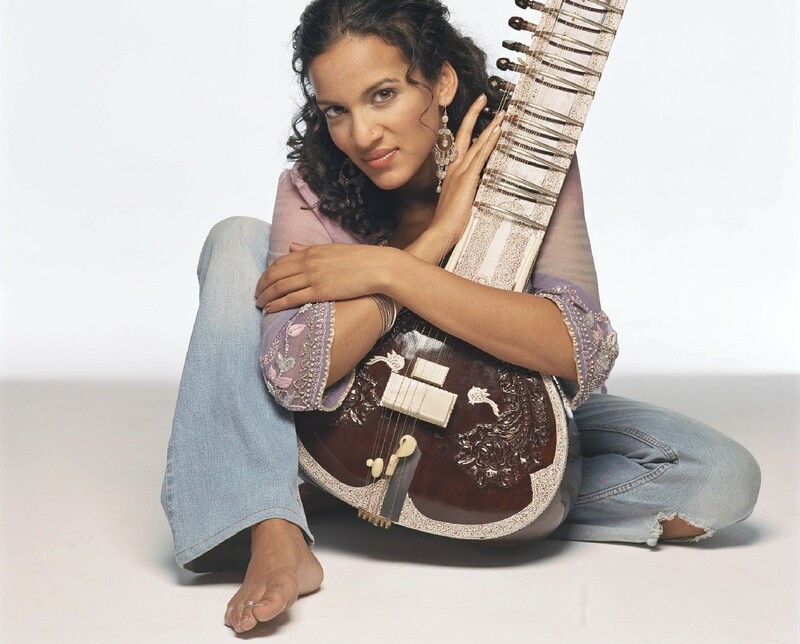 Anoushka Shankar in Echoes Podcast. Hear Anoushka Shankar & Nitin Sawhney Talk about Traces of You in Echoes Podcast. Ravi Shankar passed away in December of 2012. 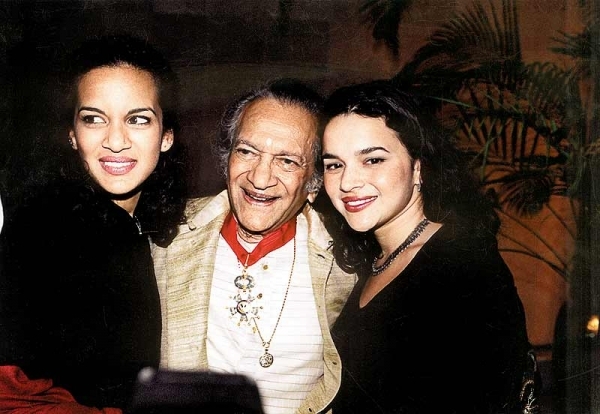 He left an incredible legacy, scores of disciples and two daughters who have achieved their own kind of fame, Anoushka Shankar and Norah Jones. The two sisters got together while Shankar was in the process of dying and recorded a beautiful homage called Traces of You. At the same time, Indian-English producer Nitin Sawhney had lost his own father. 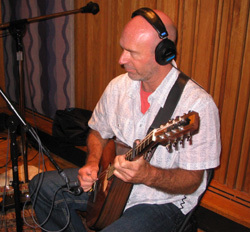 He joined Anoushka to produce the album, co-compose more than half the tracks and play guitar and piano and programming. 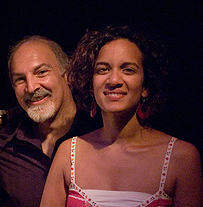 I talk about traces of those who’ve passed with Anoushka Shankar and Nitin Sawhney. Anoushka Shankar: I kind of started making a record that was going to be about life, and life is a journey and the journey kind of became things I couldn’t have anticipated, but that was kind of the whole ironic point really…is that, is that it is a journey and so I just sort of allowed myself to, to follow that. Anoushka Shankar on “In Jytoti’s Name”: No, it’s angry. That sitar melody came from a place of rage, you know. I was really angry and kind of wrote a melody that was quite minor and dark, and yet you know, by the time I was adding the percussion and stuff, but you know, there’s anger and there’s also a passing through that anger that has to happen. 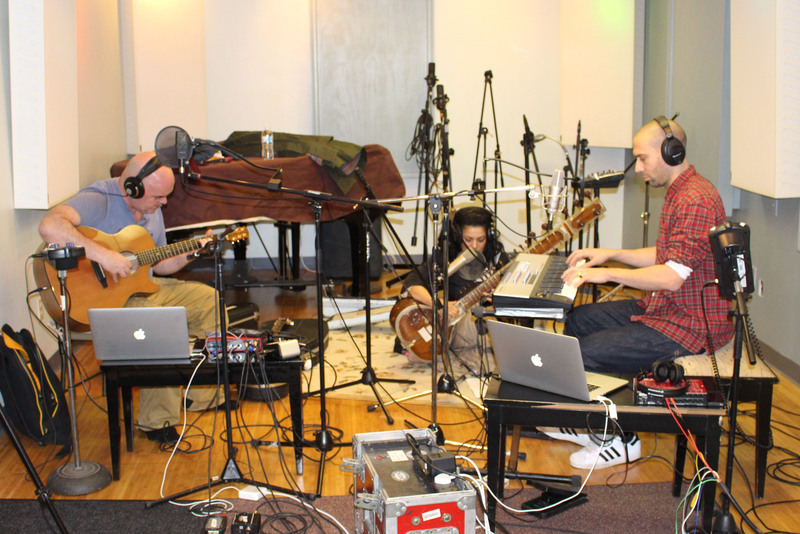 Hear Anoushka Shankar and Nitin Sawhney talk about Traces of You in the Echoes Podcast. The Daughter of an Icon Looks Back and Looks Forward. Just got a peak at the forthcoming Anoushka Shankar album, Traces of You. Just to judge from the EPK, it could be her best album yet. Produced by Nitin Sawhney and featuring vocals from Shankar’s sister, Norah Jones, it appears to be a blend of traditional music with a modernist sensibility and a reflection on her father, Indian sitar icon, Ravi Shankar, who passed away last year. Anoushka studied literally at the feet of her father and brings not only his impeccable technique to her music, but his raging musical curiosity and eclecticism. Expect to hear this album a lot on Echoes this fall. or I Dropped My Microphone on Ravi Shankar’s Sitar. The word “icon” is tossed around pretty freely these days, and I probably fling it out there more than most. But put the name Ravi Shankar next to “icon” and you reset that bar to stratospheric heights. There are only a few musicians who stand out as icons when you think of a particular music or instrument. For Be-Bop it’s Charlie Parker; for the electric guitar, Jimi Hendrix; for classical music, Beethoven. Add to that list Ravi Shankar, the first name you think of when Indian music and the sitar come up. And now, like those musicians, Ravi Shankar is gone. Ravi Shankar didn’t start out playing sitar. Born on April 7, 1920 in Varanasi, India, he began as a dancer in an international performance troupe led by his brother, Uday. Shankar traveled the world in his teenage years living a cosmopolitan life. Opening up the booklet of his 75th anniversary CD, In Celebration, I pointed out a photo of a young handsome man, his long black hair is slick backed and strings of beads crisscross his bare chest as he strikes a seductive pose that wouldn’t be out of place in a Prince video. “How is this person different from the person sitting in front of me right now?” I probed. “Well this person about 16 to 17 going 17, 19,” he answered. “And now I am going 76 almost. So there has to be a lot of difference, but I still have him inside me. I cannot get rid of him. “What parts of him do you like?” I asked. That’s not the frame of reference that comes to mind when you think of Ravi Shankar. Even 16 years ago, Shankar was a frail man with a cloudy yellow ring around the irises of his eyes. But as he embraced his sitar, you couldn’t forget his stature as a master musician who seduced the world with an ancient sound and spirit. But before he attained a status of musical sainthood, he had to leave the world behind. In the midst of traveling the globe with his brother’s troupe, he decided to return to India with Master Baba Allaudin Khan and studied the sitar. In fact, Shankar experienced the chilla, a forty day period of isolation and virtually non-stop playing. “That sort of thing is not possible today,” he conceded. He emerged from this stark period with formidable technique and a music whose spirit would suffuse several generations. Almost from the beginning, Ravi Shankar reached out to other musicians, finding a common ground between Indian music and the jazz, rock and classical worlds. One of the first western musicians to embrace Shankar was classical violinist Yehudi Menuhin. They began paying together in the 1950s and in the late 60s recorded West Meets East. And then came the 60s revolution when Indian music was embraced by psychedelic rock. It was this movement and Shankar’s association with George Harrison of The Beatles that really launched the sitarist towards global renown. But he has always been disparaging of the times even though he made notorious appearances at the Woodstock and Monterey Festivals as well as The Concert For Bangladesh, where the audience mistook his tuning for an actual piece music. Jazz saxophonist John Coltrane dialed into Indian modalities in the mid-60s through Shankar..
Philip Glass tuned up his minimalist concepts while arranging Ravi Shankar compositions for orchestra. Space music bands like Popol Vuh dialed in to Shankar’s raga excursions and countless guitarists like Terje Rypdal and John McLaughlin brought Indian phrasing into their playing. World fusion was born in Shankar-influenced groups like Oregon, Shakti, and Ancient Future, all of whom ingested Indian music through Shankar. Despite his misgivings, the 1960s and early 70s were times of feverish collaborations by Shankar, especially working with George Harrison. It’s something he picked up on again in the late 1980s when he made three albums for the Private Music label, including collaboration with Philip Glass, the minimalist who has cited Shankar as a primary influence. But no matter what the combination, Shankar says he’s still bringing the same spirit to the music which he learned from his guru, Baba Alaudin Khan. He taught that oral tradition to his daughter, sitarist Anoushka Shankar. I first met Anoushka at her father’s home in Southern California. She was 19 then and just on the precipice of her own musical career. Sitting in their practice room, Ravi Shankar sang melodies and Anoushka played them back. As he played improvised lines on his sitar, fresh in the moment, Anoushka shook her head from side to side, acknowledging the mastery of his melodies even as she replicated them herself. It didn’t matter what kind of sitar Shankar played, the logic and invention of his solos was extraordinary and his quicksilver interplay with tabla players like Alla Rahka is the stuff that would inspire jazz and rock musicians for decades. The concerts that I saw him play were always transporting experiences as Shankar wove entire worlds with his ragas. Shankar was the last of an Indian music triumvirate that including sarod master Ali Akbar Khan and tabla master Alla Rahka. 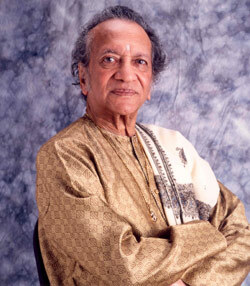 Ravi Shankar passed away last night, December 11, 2012 at the age of 92. It truly is the end of an era, but his influence resonates like the sympathetic strings of the sitar. You’ll find of a list of Five Essential Ravi Shankar CDs that I compiled for his 90th birthday. With the Echoes CD of the Month Club, you get great CDs like Hammock’s Departure Songs coming to you each month. Follow the link to the Echoes CD of the Month Club and see what you’ve been missing. Ravi Shankar turns 90 today. He was born April 7, 1920 in Benares, India. 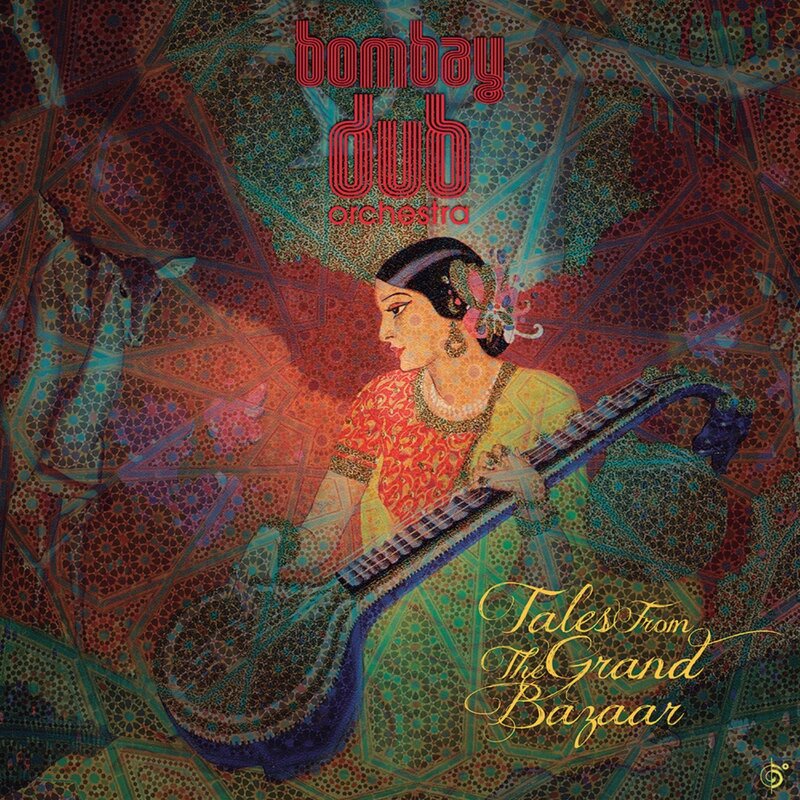 Tonight, April 7, we’ll feature an interview with the sitar master on Echoes. His impact on Indian music is undeniable. His impact on world music is still being calculated, but may be even more significant. Since the 1950s he’s released dozens of albums so pairing them down to any number is difficult. But for the novice and the aficionado here’s a selection from across Shankar’s career. This is really a threefer in that you get Shankar, and the other two icons of Indian music, sarod master Ali Akbar Khan, who passed away last year at 87, and tabla player Alla Rakha, who passed in 2000. This super trio was in high form for this 1972 live recording, playing on a three extended ragas that span 2 CDs. The meeting of Shankar with classical violinist Yehudi Menuhin was monumental in the career of Ravi Shankar. Although the raga is high art in India, it was still folk art in the west until Menuhin engaged in this set of extended duets, trading licks with Shankar like a jazz cutting session, but also reaching some beautiful, Paganini dipped in patchouli heights. This 2000 live performance from Carnegie Hall was something of a passing of the torch as Shankar was joined by his then teen aged daughter Anoushka who has gone on to stake her own claim as the premier sitarist of this generation. Virtuosity a given, the two artists trade licks and create that serene mood and mad rush to edge that characterizes the best ragas. This is one of several collaborations between Philip Glass and Ravi Shankar. Glass cites his work with Shankar in the 1960s as being a seminal influence on his music. On this album, Glass and Shankar each takes themes from the other and orchestrates and arranges them for sitar, orchestra and voices. A beautiful and under-rated album. This is a collection released by Deutsche Grammophon culled from recordings made in the late-1970s and early-1980s. Unlike Columbia Records’ fragmented Essential Ravi Shankar, this features extended ragas as well as a few bitesize tracks including collaborations with Japanese koto and shakuhachi players. Shankar was always the consummate world music traveler. Shankar is frail now. He’s helped on stage by his assistant and tanpura player, Kenji Ota and he doesn’t sit cross-legged anymore. Instead, he rests at the edge of the riser, his feet on the floor as his assistant places the sitar in his lap. It’s a modified instrument that’s smaller with a flattened back and no head stock. As he settles into position, you wonder if he’ll be able to play at all. But once the music starts, Shankar steps into another world articulating a fractal forest, full of symetrical patterns and asymetrical melodies. As he bends into the alap, the opening, free movement of each piece, notes seem to unfold, slowly bending into microtonal curves. It’s when the gat, or rhythmic section kicks in, that you can hear the change in Shankar’s playing. He’s no longer the speed demon, scorching the frets in arabesque runs. Instead, he’s more like a road-worn blues musician, bending into notes, tossing out sketches of licks, placing points along the lines of the melody. Anoushka, on the other hand, is a speed demon, and while she took on a secondary role to her father, she stepped out on several fiery runs. performance now that I don’t recall from earlier concerts. He said he’d be dropping in folk melodies into one raga. I expected that to mean Indian folk melodies, not “Yankee Doodle,” which popped in as kind of a Philadelphia homage. I wonder if he plays “I Left My Heart in San Francisco” in California or “New York, New York” in that city? Ravi Shankar isn’t the only sitarist and he may not even be the best, but he’s left his imprint on Indian and world music the same way Charlie Parker changed jazz and Jimi Hendrix shaped the electric guitar. He brought Indian music to the world and inadvertently paved the way for minimalism and the New Age, The Edge and John Coltrane. Through his teachings, Ravi Shankar has seeded disciples around the world, not the least of whom is his daughter Anoushka, a worthy heir apparent. You never know much time we’ll have on this planet. Shankar’s 1960s partner, tabla icon Alla Rahka, passed at age 80, and his much younger disciple, George Harrison, only made it to 58. So I’m grateful to have yet another opportunity to see this master materialize a maze of melody and rhythm one more time. A progressive rock guitar warrior unplugs when Djam Karet’s Gayle Ellett journeys to Fernwood. In an era of computer generated music where even the most folky, downhome pop song is electronically manipulated, a band called Fernwood wants to get back to nature. Gayle Ellett: It’s a reaction to modern music and where modern music is going and it’s going so computer driven and played by machines and all the music you hear, a lot of the vocals you hear on pop radio are pitch corrected on popular radio and it’s a deliberate statement saying that’s bad. It’s wrong. We should avoid that. You might surmise from that statement that Gayle is an anti-technology Luddite, but consider that for the last 25 years, he’s been playing electric guitar in the ultra-progressive rock group, Djam Karet. Djam Karet revels in complex compositions and dynamic musicianship, but with Fernwood, Gayle Ellett was looking for something simpler. Along with his partner, Todd Montgomery, they’ve arrived at an Americana world chamber music based mostly on stringed instruments. Those strings include irish and greek bouzoukis, mandolins and sitars, banjo and oud. 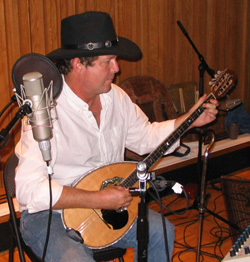 Todd Montgomery, who mainly plays sitar, doesn’t want to go to far. Todd Montgomery: I want to play where, if my teacher were to hear it he wouldn’t be offended. It has to be enough Indian where he’s not going to be angry, you know. Fernwood 2 Night. But that’s not what the band had in mind. Fernwood is the Topanga, California neighborhood where Gayle Ellett lives, and aside from the unintended TV show reference, it seems to conjure up the folky style of the group. But this is folk music with resonant overtones and exotic touches. 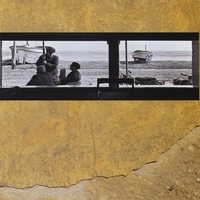 The debut album from Fernwood is called Almeria, named for a Spanish port city. Their music travels there and into other foreign destinations, discovering the sound of instruments combined, played by hand. You can hear a full interview with Fernwood on Echoes this Monday, September 13, and it will be our podcast that week. You can also hear an audio version of this blog with music. This has been an Echo Location, Soundings for New Music.